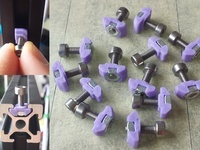 CR-10 Essential Mod Set by Nerys is licensed under the Creative Commons - Attribution license. Ultimate Leveling Knobs. just trust me. you will never go back. I wish all printers could take advantage of massive knobs like this. Fan Duct Remix. 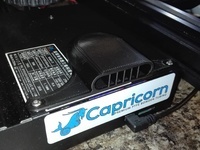 a small change to put the part cooling air where it needs to go. 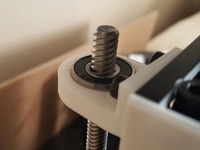 you pretty much don't NEED any other mods for this printer. its that good. there are other mods. search around. this is just the essential mods you need. it prints as a "full plate" in sequential print mode (one part at a time) better quality that way but you need a nice level bed to make sure all the parts stick. the STL is all the parts. 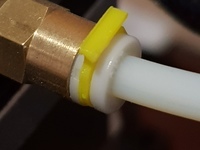 use separate connection parts if you want to jocky them around or slice on your own. the gcode is pre programmed for the CR-10 in sequential print mode. Load. Print. like how that works? Consider buying Simplify 3D. I don't get anything from Simplify. its just really good software that does a great job. it has bugs and issues. the pros more than make up for it.